Jojoba oil is produced from the seed of a shrub known as Simmondsia Chinensis. The shrub is native to northern parts of Arizona, California & Mexico. 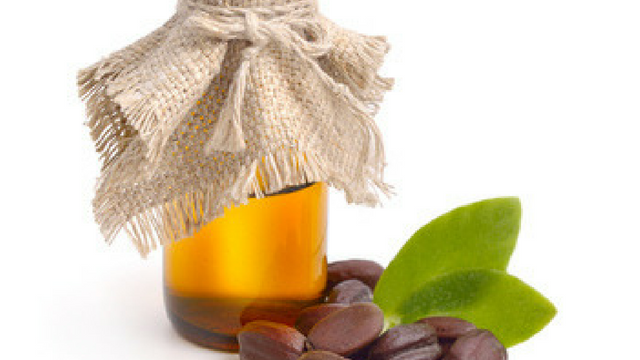 Traditionally, Native Americans used jojoba oil to treat skin issues such as wounds and sores. Though it’s known as an oil, jojoba oil is really a liquid wax with properties similar to the sebum produced by the skin. The oil has been popular in cosmetics since the 1970s but started getting more attention in the personal hair care world in recent years. In its unrefined form, jojoba oil is a clear golden liquid with a slightly nutty odour while refined jojoba oil is colourless and odourless. Jojoba oil is the only oil that mimics the natural oil produced by our scalps. Use jojoba oil and rosehip seed oil for best results. It takes three years to cultivate and grow the jojoba plant. Hence, the oil harvested is used in small-scale applications. These small-scale applications are used for cosmetic and pharmaceutical purposes. It is difficult to locate unrefined jojoba oil as a result. Due to its oxidative stability index of approximately 60, jojoba oil is more shelf-stable than safflower oil, canola oil, and almond oil but less shelf-stable than castor oil and coconut oil. Prior to the discovery of jojoba oil, whale oils harvested from the spermaceti in whales was popular. After whales became endangered, the US banned the import of whale oils in the 1970s. Subsequently, jojoba oil was discovered as a more effective replacement. Necessity is definitely the mother of invention. Jojoba oil is the only oil that mimics the sebum produced on the scalp. As a result, it can help regulate the production of oil on the scalp and restore the scalp’s pH levels. It’s antibacterial properties also come in handy when it comes to addressing scalp issues such as psoriasis and dermatitis. Other anti-fungal natural oils, which are good for this purpose are castor oil, borage seed oil, and jasmine oil. By massaging jojoba oil into your scalp, it disintegrates flakiness and build-up on the scalp that can block hair follicles and hamper hair growth. Due to the wax-like effect of jojoba oil, it can help keep your hair shiny and improve the appearance of dry hair. Jojoba oil is rich in vitamins B, C, and E, zinc, and copper, which nourishes the scalp and promotes hair elasticity. Elasticity is when you pull on a few strands of your hair, release it and it bounces right back up. That is one of the surefire signs of healthy hair. As a treatment for dry hair, jojoba oil will smoothen the strands and increase shine. Use it to seal the length of your hair after applying your regular leave in conditioner and other products. Do not apply to your scalp for this recipe and use sparingly as overuse can attract dust to your hair when you go outside. If there’s any residue in your hands after sealing, you’ve used too much. You can remove any excess oil by dabbing a damp paper towel lightly on your strands for a few minutes to absorb the excess. Mix all the oils together and heat over a bowl of boiling water. Section your hair and apply directly to the scalp. Massage in thoroughly. Cover your head with a disposable cap and wait about 30 minutes. 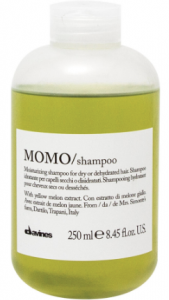 Wash your hair with a mild shampoo like Davines Momo Shampoo for Dehydrated Hair then deep condition your hair. It’s not a good idea to leave jojoba oil on your scalp as it can clog your pores. It should always be washed out of your hair. Alternatively, you can add a few drops to your shampoo and deep conditioner but the recipe above is more effective. Regular use of jojoba oil improves overall hair quality and resolves scalp conditions, which aids in healthier hair growth. Is Jojoba Oil Good for Hair Growth? While there are articles claiming that jojoba oil can increase hair growth, based on my research and testing, this is not the case. 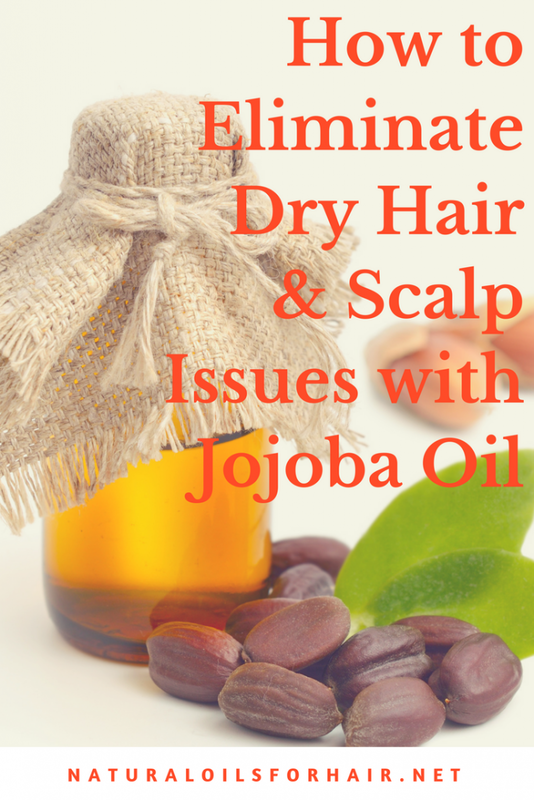 Jojoba oil can treat scalp conditions preventing you from seeing length. 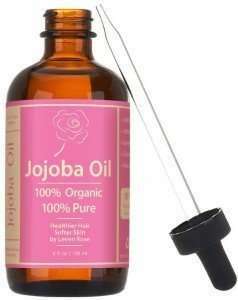 However, jojoba oil on its own cannot increase hair growth, regrow bald spots or help thin hair fill in. There are other oils and recipes more suitable for this purpose. For more on this, I recommend having a look at The Ultimate Hair Growth Guide. If you would like to know more about how to use natural oils for specific hair purposes and to get more effective use out of them, you may want to check out How to Grow Hair Healthy & Long with Natural Oils. 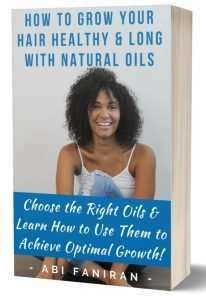 The guide goes in-depth into which specific oil (s) works for each hair issue for optimal length and health. It’s updated every year with new and relevant information.